ISMP Canada President & CEO, Carolyn Hoffman, poses with Horizon Health Network workshop participants in Fredericton, New Brunswick. While in New Brunswick, Carolyn facilitated a two-day Incident Analysis Workshop for the Quality, Patient Safety and Risk Management staff. 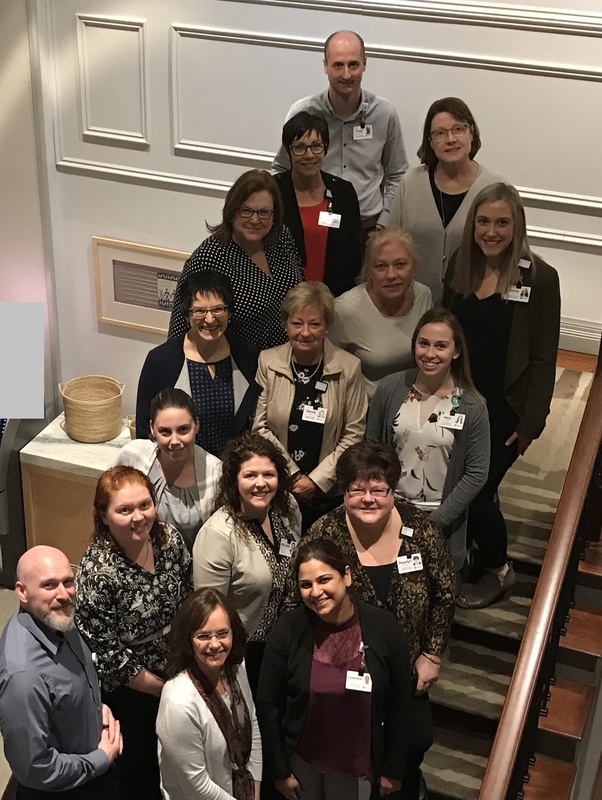 "I had the pleasure of working with Alice Damon, Chief Quality & Patient Safety Officer and Lauza Saulnier, Regional Director, Quality and Patient Safety Services to prepare and deliver the workshop to meet the specific needs of their organization," said Carolyn. "I'm impressed by their systematic approach to building a strong and expert team of staff who will effectively support incident reporting, learning and sharing in the Horizon Health Network. ISMP Canada is pleased to play a role in this journey!" Copyright © 2000-2016 Institute for Safe Medication Practices Canada (ISMP Canada). All Rights Reserved.